This bracelet contains the pride flag colors. The bracelet is 6 3/4" long and has a 1" extension gunmetal chain. 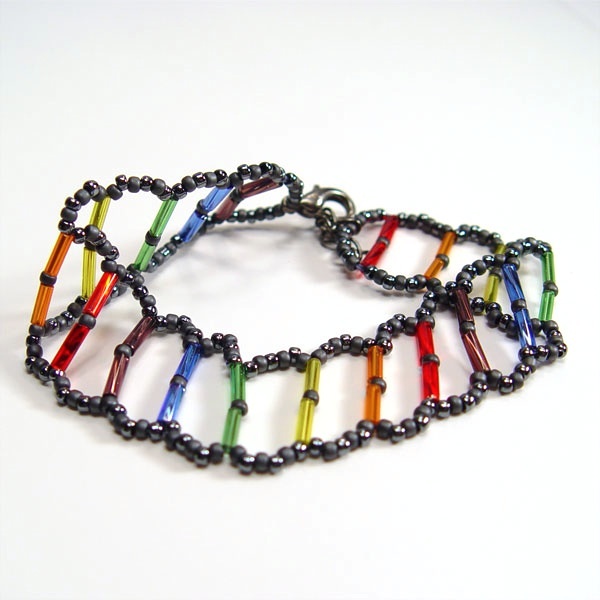 The design is finished with glossy and matte gunmetal seed beads and a gunmetal lobster claw clasp.